The Affordable Care Act insurer payments are in trouble again, as Office of Management and Budget director Mick Mulvaney is reportedly not promising that the Trump administration will make the payments next month. He told House Minority Leader Nancy Pelosi last night that the administration hasn't decided whether to pay insurers for the cost-sharing reduction subsidies they have to provide to low-income ACA customers, according to an aide familiar with the conversation. Mulvaney's side: His office disputes that Mulvaney suggested the administration might stop making the payments altogether. 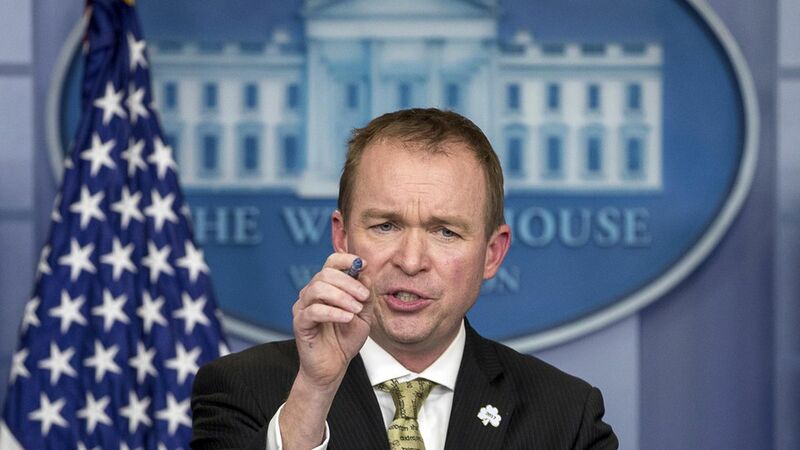 The only thing standing in the way of a spending agreement "is a handful of Democrats who are insisting on an 11th hour bailout of Obamacare," Mulvaney said in a statement. "This administration has made CSR payments in the past, and the only reason some are raising this now is to hold the government hostage and find an excuse to oppose a bipartisan agreement." Why it matters: The conversation is sure to make it harder to reach a deal to fund the government for the rest of the year, since Pelosi told Mulvaney that Democrats are still insisting that the insurer payments have to be part of the package.